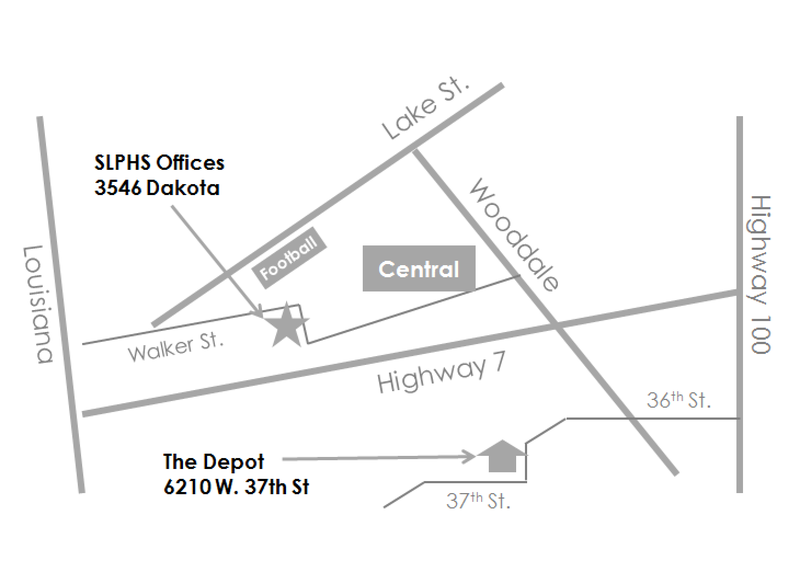 Our offices are located at 3546 Dakota Avenue, across Dakota Ave. from the Central Community Building. We are on the second floor in Suite C, but unfortunately there is no elevator access and apologize for the inconvenience. We are open every Saturday from 1-4pm and by appointment. The historic Milwaukee Road Depot is located at 6210 W. 37th Street (at Brunswick) in Jorvig Park. The Depot is open by appointment only or for special events. Our Office Building at 3546 Dakota Ave.